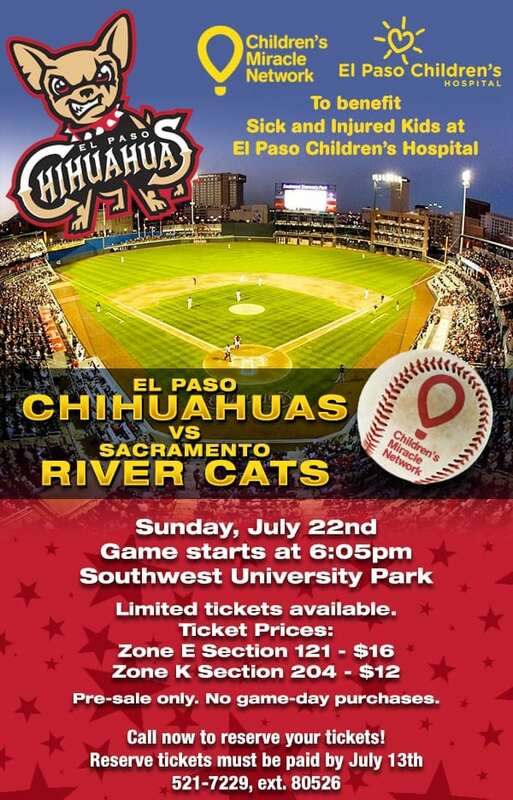 Benefit sick and injured kids at El Paso Children’s Hospital by reserving your tickets now for the Sunday, July 22nd game between El Paso Chihuahuas and Sacramento River Cats! To reserve tickets, 915-521-7229, ext. 80526! Next post: Top Dairy Queen location celebrates with a pizza party!